The first step of the process is a primary crushing of the material. This is typically accomplished for limestone using a jaw crusher,PEW jaw crusher or mobile jaw crusher plant. When operating jaw crusher, a continuous belt conveyor, vibrating feeder and vibrating screen is required in order to separate the different sizes of limestone blocks. 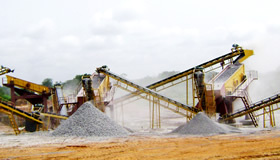 A secondary crushing step may be necessary if the product includes any features or custom size or shape. 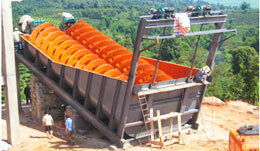 For this procedure, a cone crusher or impact crusher frequently implemented for limestone, but a variety of vibrating feeder and vibrating screen are also common. 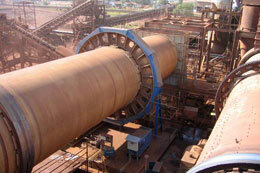 belt conveyor is again necessary for limestone blocks transport.